Quite the underachieving performance by the Sharks, even though they won 4-3 over the Nashville Predators. The Sharks didn’t play like the hot team that they are. They played down to their competition, yet still came out on top. Devin Setoguchi and Ryan Vesce returned to the lineup tonight after being injured. Vesce only received eight minutes of ice time, so I couldn’t gauge how good he looked. Seto scored a goal in the third period, after looking one step behind all night. That’s two games in a row where players returning from injuries scored. Joe Pavelski, who did that last game, scored the first goal of the night. Patrick Marleau sped around the net and backhanded it to Pavs, who easily slotted it past goalie Dan Ellis. 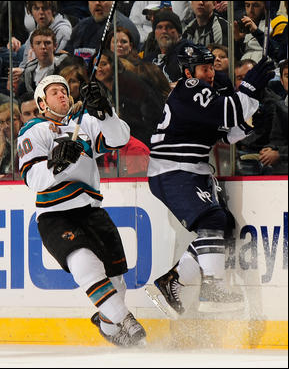 But like I said before, the Sharks played down to their competition. Patty, Pavs, Seto and Scott Nichol were the only ones who looked like they wanted to play tonight. The others were content with playing at Nashville’s level. My best guess is they’re coming off two games against Stanley Cup Finals teams (Detroit and Pittsburgh) and just didn’t get pumped up to play the Predators. While I understand that mindset, you can’t come out with it. Not in the National Hockey League. 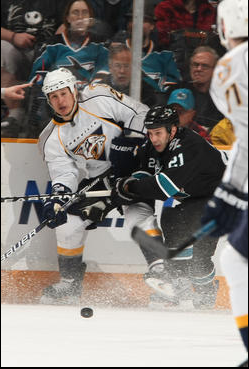 Again, the Sharks didn’t impose their will and their style of play on Nashville. They allowed the Preds to play a slower pace game with controlled breakouts. Nichol tried a bunch of times to spark the team with his speed, but that only seemed to spark Nichol himself to keep doing it. No team led by more than one goal. The Sharks were trying to be too fancy with their passes and dekes instead of just shooting at the net and getting rebounds. There were a few three-on-twos where the extra passed doomed any chance of scoring. Someone besides Heatley needs to be a little selfish. 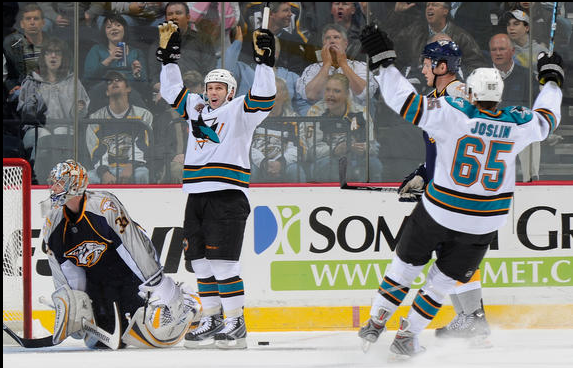 Speaking of Heatley, he and Joe Thornton were invisible tonight. Couldn’t find them. Thornton’s mind was elsewhere. I don’t know if it was the communication or him, but he was passing to empty space consistently. I think San Jose finally woke up when Nashville took the lead 3-2 in the third. Then things started to speed up, checks were finished and more shots were taken. Seto became selfish and blasted a slapshot past Ellis to tie the game. Leave it up to ol’ Danny Boyle to finish things off with his patent full-ice skating. A little give ‘n’ go and Boyle took a shot that went through the five-hole of Ellis, with one minute left. The Sharks survive and are now on a nine-game point streak. How do these guys have a job? 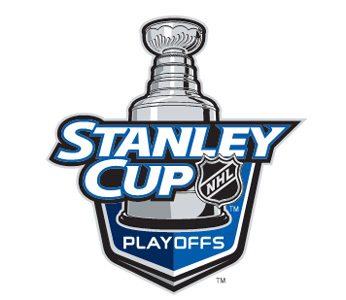 It’s pretty unanimous that these are the worst in hockey. They are so boring to listen to and do not research anything. If there’s anything that irks me, it’s when a commentator says a guy’s name wrong. Boy, did that happen tonight. 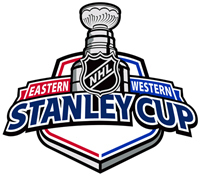 Play-by-play guy Pete Weber kept saying VEESEE when it’s pronounced VEH-SEE, and both commentators said Nabokov’s name with emphasis on the first syllable. Wrong. It’s not NAH-ba-kov. It’s Na-BAH-kov. Your whole job is to say people’s names and if you can’t do simple research to see if you’re saying it right, get out of the business. Also, another research tidbit. Weber said Jason Demers was up with the Sharks only because of Rob Blake’s injury. Are you joking me? He’s been up the whole season! Check a stat sheet and you’ll see he’s been in every game. Sheesh. Do Nashville a favor and quit. They also compared Seto to Jordin Tootoo. Best non-intentional joke ever. It was Thomas Greiss’ second NHL start and he looked decent. He made some awesome saves, but was out of position at times. It’s a learning process. “Jesus Greiss” will continue to get better. The Sharks battle division rival Dallas on Thursday.